Products and business idea of MVG® Mathé Schmierstofftechnik GmbH are based on the ideas and developments of the Austrian race driver and constructing engineer Otto Mathé. The ingenious Austrian technician and race driver Otto Mathé developed oil additives that would already be traded as a real insider’s tip in the racing circles of that time. Otto Mathé was a pioneer in lubricant technology and with his commitment a great role model for Niki Lauda. With the help of his oil additives Otto Mathé drove his own vehicles with Porsche engines from victory to victory, although the motorization of his vehicles was by far inferior to Porsche’s factory-built race cars. Even in those days, the stability and torsional strength of his engines, which was significantly enhanced by its oil additives, was a key to success. Niki Lauda, former Formula 1 world champion, said in an interview: "I already worshiped Otto Mathé as a young boy. I admired his cars and how he drove races with only one arm!" Otto Mathé's name was mentioned in the same breath with Juan Manuel Fangio and Rudolf Caracciola. In 1952 Otto Mathé won 20 out of 20 races and became Austrian National Champion. In 1953, one of his greatest achievements was the third place in the German Grand Prix at the Nürburgring. Only Juan Manuel Fangio, the world champion, and the former World Champion Dr. Farina placed before him. In order to truly ppreciate this achievement and the character of his will to succeed and win, one must know that not only was the rated output of his engine significantly lower than that of his competitors, but that he also raced using only one arm! His right arm was paralyzed since an accident during a dirt track race in 1934. Parallel to his sporting activities and later exclusively, Otto Mathé started his own business developing oil additives. He founded the company Otto Mathé, Spezialschmierstoffe (Special Lubricants). Throughout his life, he continued to develop oil additives. They always provided the tribologically feasible. Otto Mathé always remained true to his maxim of optimizing commercially available engine and gear oils with his MATHÉ additives for the benefit of the user. 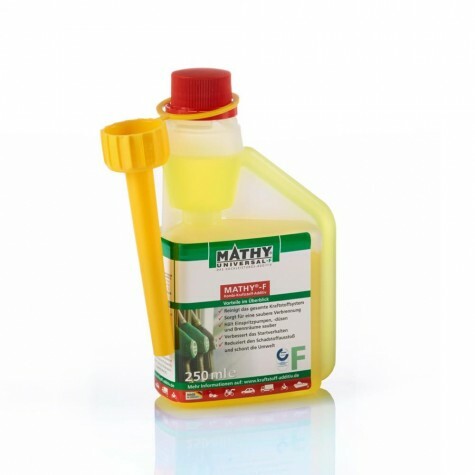 MATHÉ additives have always increased the performance of engine and transmission oils to minimize wear and engine load, which in turn has greatly increased endurance and longevity! Dierk Müller, a longtime classic car enthusiast as well as a dedicated and active participant and organizer of classic car rallies for decades, comes into contact with MATHÉ additives. The additives were recommended to him by a club mate. The reason for this was a longer period of downtime of his 300 SL “Gullwing” Mercedes which forced him to attend his club's annual meeting without an appropriate car. The aforementioned club mate (Dr. Klaus Räker from Lemgo, also classic car fan and Porsche specialist) said to Dierk Müller, "If you would have used MATHÉ, then this would not have happened to your engine!". Back home, Dierk Müller starts researching MATHÉ additives and contacting Otto Mathé. First, the MATHÉ additives are tested on one of his classic cars and then gradually his entire classic car collection is equipped with it. All vehicles show a better starting behavior, more revving power, less wear, less abrasion, and less damages due to longer downtimes! Businessman Dierk Müller focusses his entire group of companies on the Mathé lubricant technology and achieves considerable savings and productivity increases by extending the oil change and lubrication intervals for vehicles and stationary units. In the same year, Dierk Müller founds Mathé-Additive Vertriebs GmbH - Mathé-Additives Distributions Company Ltd. - as his new business and introduces Mathé additives and lubricant technology to the German market. Mathé-Additive Vertriebs GmbH - Mathé-Additives Distributions Company Ltd. - is renamed to today's MVG® Mathé-Schmierstofftechnik GmbH – MVG® Mathé Lubrication Technology Company Ltd. - and entrepreneur Dierk Müller completely succeeds Otto Mathé and takes over the production and worldwide distribution of Mathé additives, including all necessary rights and formulas. On behalf of MVG® Mathé-Schmierstofftechnik GmbH, Dierk Müller commissions leading tribologists in cooperation with his team of specialists to optimize existing products and to develop new oil additives in coordination with the current engine and transmission oils. This form of product development is continuously maintained until today! MVG® Mathé-Schmierstofftechnik GmbH introduces the new MATHY® brand as part of its internationalization strategy. 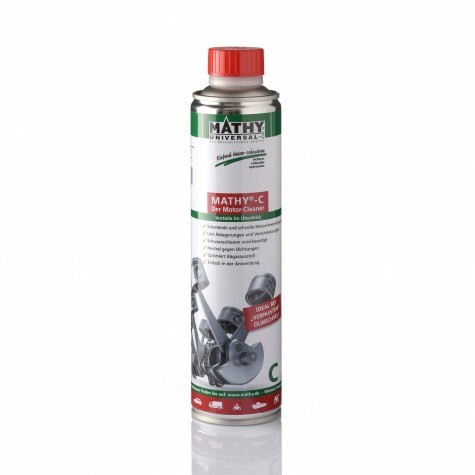 From this point in time, all products for classic and vintage cars are sold under the MATHÉ® brand. 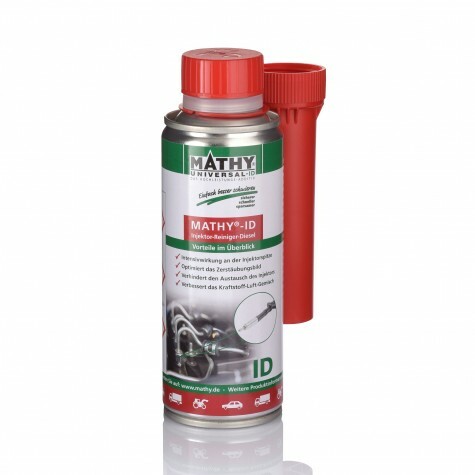 Additionally, all additives for the current engines and machines as well as engine or transmission oils will be marketed under the MATHY® brand. MVG® Mathé-Schmierstofftechnik GmbH is the first additive and lubricant manufacturer to commission TÜV with product testing and certification. After nearly two years of testing, the products MATHY®-M, MATHY®-F and MATHY®-T received the test seal from TÜV Nord (at that time still TÜV Hannover / Saxony-Anhalt). Since then, the products of MVG® Mathé-Schmierstofftechnik GmbH have repeatedly been tested and certified by various institutes, such as RW TÜV Essen, TÜV Nord Hannover, DEKRA Umwelt GmbH and TÜV Nord Essen. Meanwhile, the regular product tests and certifications have become a tradition at MVG® Mathé-Schmierstofftechnik GmbH - until today! The Mathé products for classic and vintage cars are being improved and introduced to the market under the Mathé® Classic brand. MATHY® and MATHÉ® Classic go online. 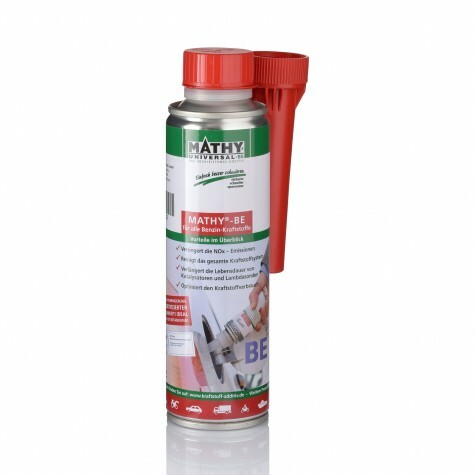 The MATHY® product range is expanded to include special products for industry and commerce. The focus here is especially on increasing the efficiency of engines and machines. Among others, emphasis is put on developing products for new environmentally friendly energy resources such as wind turbines and combined heat and power plants. The products MATHY®-Industry, MATHY® WKA ISO VG 320, MATHY® WKA Lube 320, and MATHY® Plus-DA are launched on the market. MVG® Mathé-Schmierstofftechnik GmbH is significantly expanding its customer service and completely restructures its advertising material. For the first time, there is separate information material for private customers and business / industry. MVG® Mathé-Schmierstofftechnik GmbH decides to change its sales strategy and ends its long-term cooperation with the TV shopping channel HSE24. MVG® Mathé-Schmierstofftechnik GmbH is developing two new fuel oil additives and introduces them to the German market in the second half of the year. At the same time, the development of new fuel additives is well advanced. MVG develops fuel additives with high efficiency and simplification of use by a single addition to the tank: MATHY-D, MATHY-DF, MATHY-BE, and MATHY-BD. For its brand "Chromjuwelen" (Chrome Jewels), MVG develops engine oils for classic and vintage cars: "Mathé für Chromejuwelen / Mathé for Chrome Jewels" (in SAE 15W-40 and SAE 20W-50). 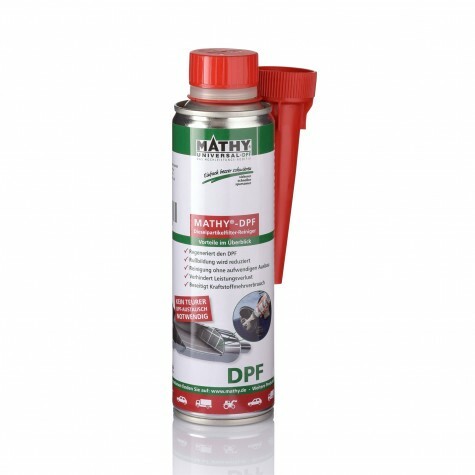 The products are specifically tailored for seasonal vehicles with long rest periods during wintertime.